Chena Huts offers access to Sri Lanka’s largest and oldest national park which has the highest leopard population density in the world. 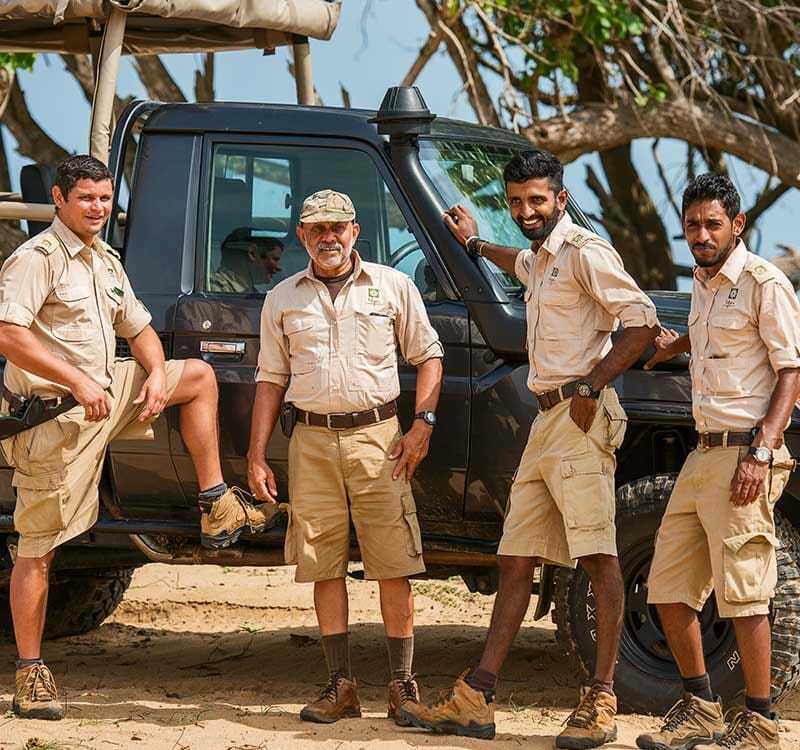 Yala stuns visitors with its variety of biomes – monsoon, semi-deciduous and thorn forests, grasslands, freshwater, marine wetlands and sandy beaches where the only footprints you will see belong to foraging birds and animals. Broadcasting 44 different resident mammal species and dozens of reptile species including turtles, crocodiles, flying snakes and elegant fan-throated lizards. Yala has no less than 215 resident and migrant birds, of which the flamboyant peacock is one of the most common. Excursions throughout the region can be arranged based on request. There are plenty of places to visit in Yala and you can explore Sri Lankan wildlife and nature at Chena Huts, making the most of your escape.